Fetch water – the opposite vectors are at the front kua. Six sealing four closing/seven inch knife – separates at the shoulder. There are two types of power – momentum power and structural power. If momentum power does not breach the required threshold (to complete the action), it becomes counterproductive. That is, to remove from the structure. Vertical movement means longer movement – to extend. Gain distance. Not necessarily up/down. There are no opposites. Yin/yang are the same in the same way that closing distance and expansion are the same. Same dimension. Dimensions are space and time. When you remove both, only intent remains. You can only do one move at a time. But different moves can happen at the same time if they are in different dimensions. Rotation and revolution. When they are related, there is only one move. When they are separate, there are two moves happening at the same time. Our brains our not sequential, nor are our bodies as each body part wants to do other things. It is our training to turn our body into sequential movements. When you have a centre line, you cannot make any mistakes as long as that centre line is maintained. Do the form with more spirit. 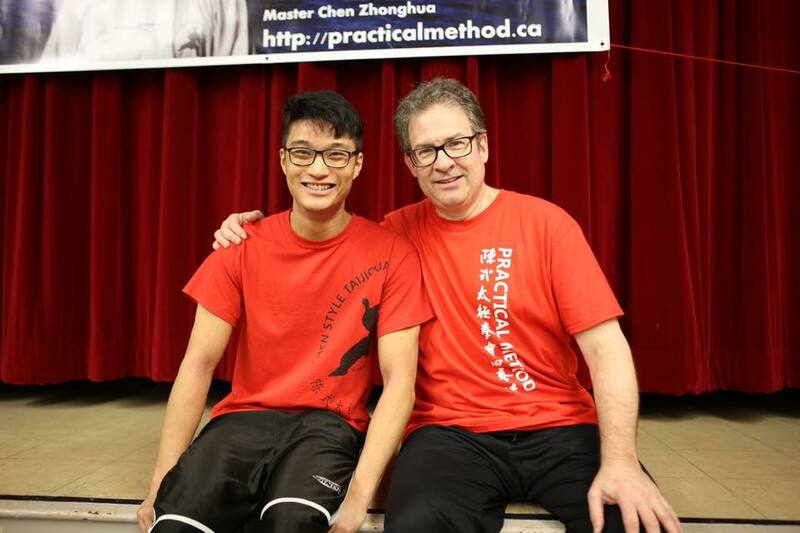 Brennan Toh is a 20th generation practitioner of Chen Style Taijiquan Practical Method and disciple of Chen Zhonghua. He began learning Practical Method in China in 2011, and has returned to Daqingshan many times since. Located in Canada, Brennan has assisted as an instructor in workshops in Europe, Australia, Singapore, and Indonesia.